We started off from Reykjavik around lunchtime, stopping for the standard Icelandic service station hotdog on the way, and arrived in perfect time for the evening meal of fish tacos at my boyfriends friends house. Armed with a map and a load of 90's CDs to sing and dance to in the car, we hit the road and were headed West in search of Snæfellsnes. 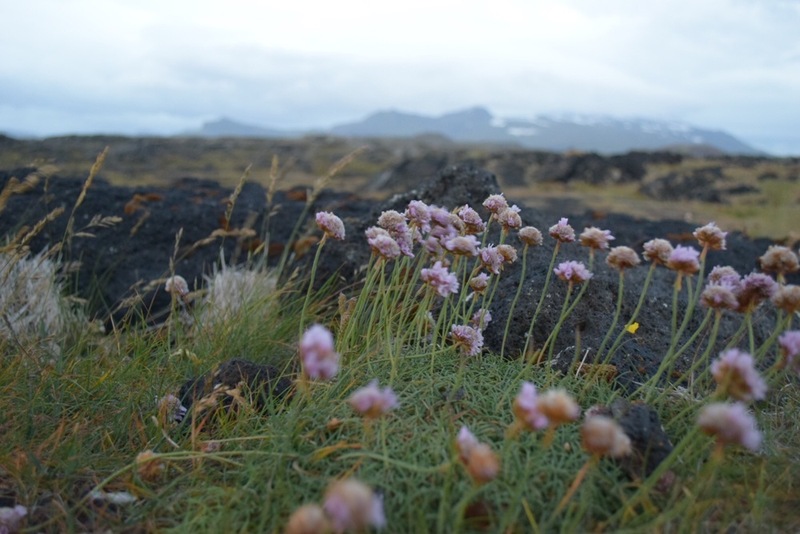 This part of Iceland is very sparse, exposed and wild. Its late summer and still pretty light but cold, wet and windy. The drive here is beautiful and I have stopped to take many photographs. The moss covered lava landscape is something I have fallen in love with, I am addicted and mesmerised as we drive past fields of it. We see small villages, towns, the odd church standing proud and bold with mountains and waterfalls as backdrops. Its stunning. We arrived at a my boyfriends friends house where we were staying the night, he also happens to be the assistant park ranger and so gave us a quick tour of the park before it got too cold and dark. We drove around from a white sand beach to a black sand beach, from one lighthouse to the next. As it got darker, the stars started to shine brightly and the moon lit up the lava and mountains with glacier atop - I am looking forward to seeing the park in daylight. The next day we woke early and headed out to find coffee at a local bakery in the town before heading off to the park to see it in daylight. We went straight to djúpalónssandur beach, the black sand beach which is famous for its stones and boulders, laid out as a test of strength for new recruits looking to join fishing boats. The boulders are named fullsterkur (full strong 154 kg), fullsterkur (half strong 100 kg), Hálfdrættingur (half carrier 54 kg), and amlóði (hamlet / weakling 23kg) - needless to say I left the heavy lifting to my boyfriend. We spent some time sitting on the rocks, watching the waves splash and circle around us, chatting and taking in the surroundings, climbing rocks and lava, and enjoying time together. 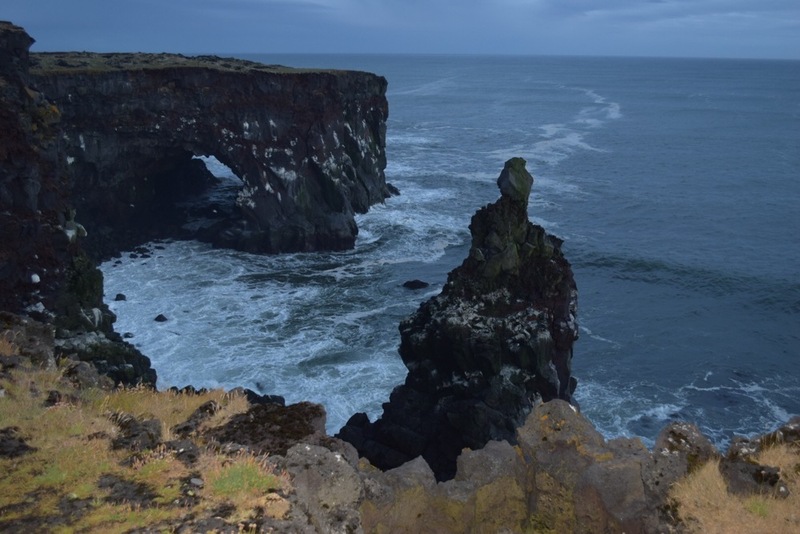 Snæfellsnes is huge and you could spend a few days wandering the different site and hanging out on its beaches, walking the cliffside trails, discovering its caves or hiking up to the Glacier. We spend an evening driving around to get an overview and then a full day revisiting the sites we wanted to. You could do this by bus, or on foot if you have a good few days to plan, but by car is best and means you can shelter from the weather and see lots of different spots. 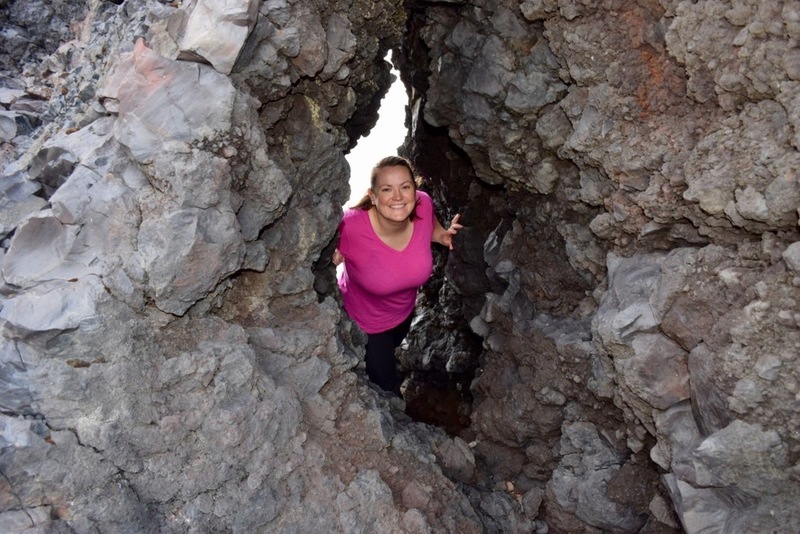 We then drove around stopping at lighthouses, beaches and even drove into the middle of the Hólahólar crater and had a look around before heading to find a nice warm bowl of soup. We went to Arnarstapi where we spotted the large statue of a character from one of the Icelandic sagas'. 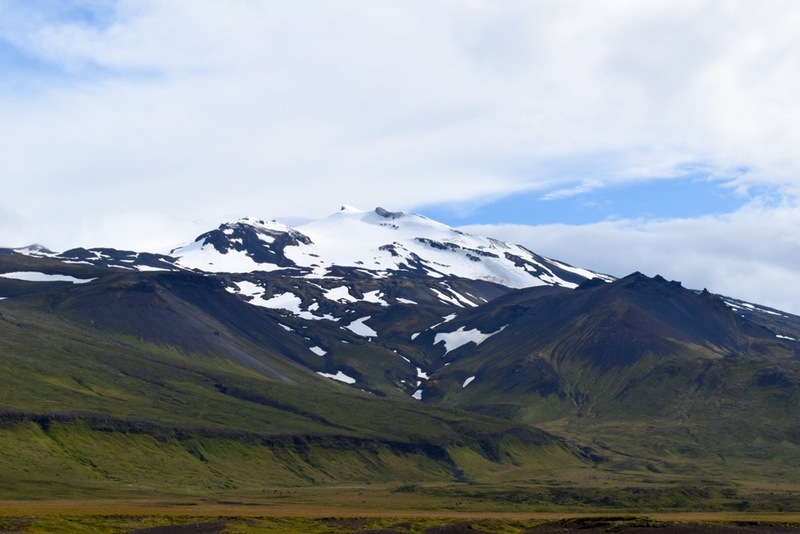 This is Bárður Snæfellsáss (below) who was the son of human mother and half troll, half giant father. He had 3 tall and beautiful daughters with his first wife, also half human half roll, and a further 6 daughters with his second wife. The saga tells of a fight he had with his half-brother. This brother had a son who used to play with one of Bárðurs' daughters. Once they were playing on the ice along the shore and the son pushed the daughter out to sea on an iceberg. She drifted all the way to Greenland where she fell in love. Bárður was furious and fought with the his brother, and brothers son who then fled the land. He gave away his land and farm, and vanished up to the Snæfellsjökull ice cap where he became known as Bárður Snæfellsáss meaning "guardian spirit". People of the peninsula worshiped him, calling upon him in times of difficulty. The drive back was beautiful and we made a few stops for the all important photographs. 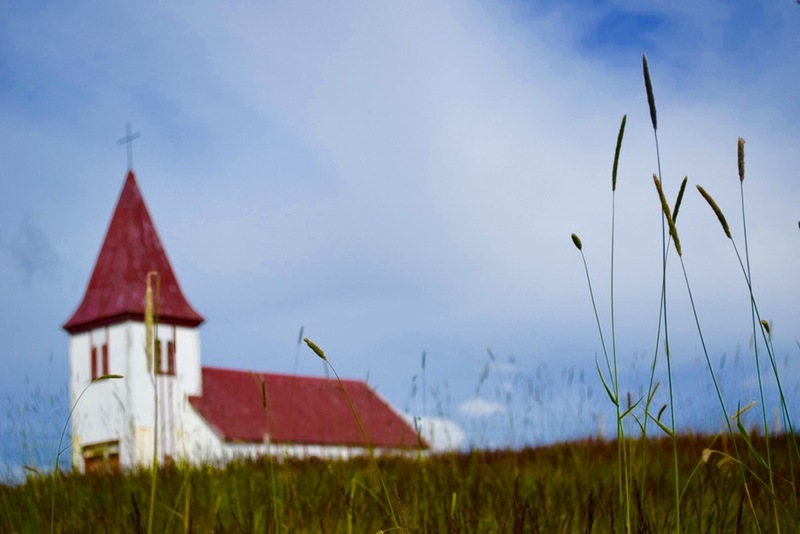 Of course this post would not be complete without featuring some pretty cool examples of Icelandic architecture. These traditional country buildings we spotted at the entrance gates are amazing. We also stopped for a hot chocolate later in the day in one which had been restored and renovated into a cafe at Arnarstapi. 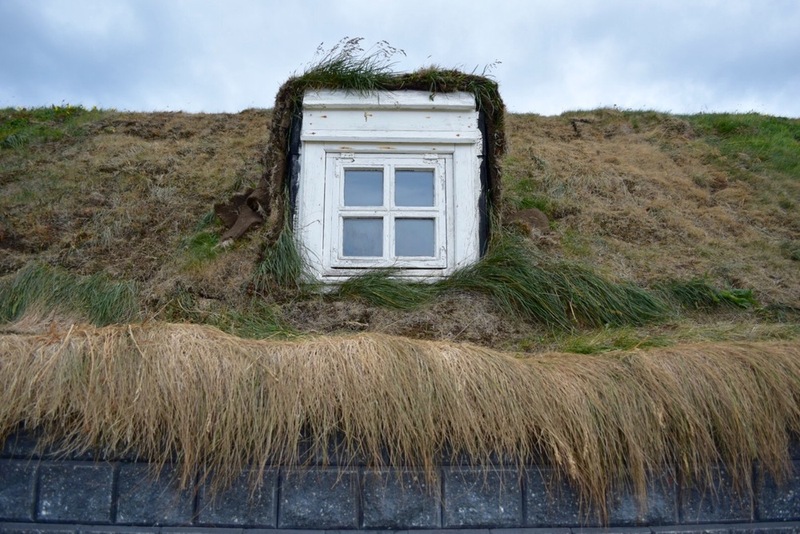 Their hairy grass roofs and ultra thick walls keep them well insulated and they look adorable snuggled, and rightfully so to avoid the cold, into the bottom of a hill.